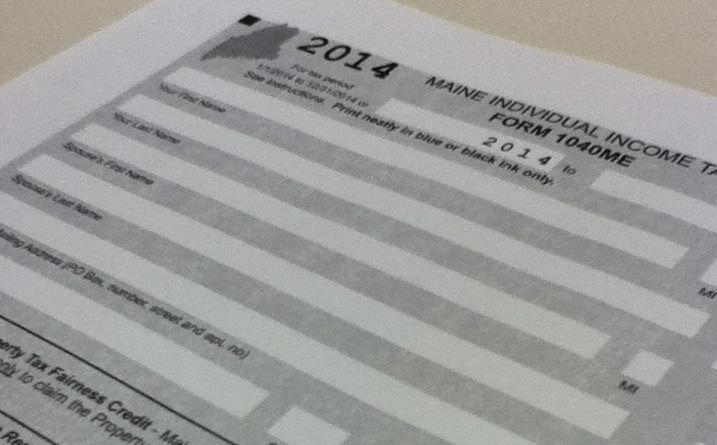 Maine lawmakers are debating changes to the state’s tax code in response to federal tax law changes. The debate over tax conformity in the Maine Legislature boils down to one question: Who should benefit most from changes in the state’s tax laws? We know from the early experience with the congressional Republican tax cuts that skewing the benefits toward corporations and wealthy individuals does not do much to boost the economy. Worse, many average-income Americans will pay higher federal taxes in a decade. Therefore, Maine lawmakers should set a benchmark of ensuring that the bulk of the benefits of any state tax changes they support go toward low- and moderate-income individuals and families, who were largely left out of the federal tax cuts. The Legislature is having this debate because the federal tax law changes approved late last year could have a variety of impacts on Maine’s state taxes. For example, on the individual side, the federal tax changes eliminated the personal exemption. If Maine adopted this change, it would result in a $250 million tax increase for Maine households, according to Maine Revenue Services. This is an argument for not fully conforming to the federal tax changes. Gov. Paul LePage, who put out his plan in March, proposes adopting the federal changes for corporations, including elimination of the corporate alternative minimum tax and quicker write-offs of business expenses. His plan, which is backed by Republicans on the Legislature’s Taxation Committee, would also lower the top corporate income tax rate. It also calls for doubling the estate tax exemption to $11.2 million per individual, a move that would benefit just a handful of Maine’s richest families each year. Evidence suggests that Maine lawmakers should steer clear of wholesale adoption of such changes. Just a few months after the Republican tax cut package was signed into law by President Donald Trump, predictions that they would balloon the deficit without boosting the economy are already turning out to be true. The tax cuts were sold on the promise of corporations raising wages and investing in American factories. Some businesses announced bonuses and pay increases for their workers after the legislation was passed, which is good news for workers. But corporations were much more more likely to use their windfall to buy back stock, a maneuver to increase stock prices, which further enriches executives and investors. The value of these buybacks is 28 times greater than employee bonuses and more than 80 percent of stocks are held by the wealthiest 10 percent of Americans. Because of the tax cuts and increases in federal spending under the Trump administration, the federal deficit is expected to top $1 trillion in 2020, according to the Congressional Budget Office. The deficit in this federal fiscal year will be 21 percent higher than it was last year, the budget office said. If the U.S. stays on the same path, the deficit will exceed the size of our economy within a decade, the Committee for a Responsible Federal Budget has warned. Maine can’t run a deficit, so this is not a path the state can follow. Instead, lawmakers should favor a package of tax changes that benefits working-class Mainers and their families. Expanding the earned income tax credit, which legislative Democrats propose, promotes work and increases earnings for low- and moderate-income families. In addition, research has shown that this tax credit improves the health of mothers and children, improves education performance and boosts Social Security benefits. Because the recipients of the credit have few financial resources they spend their credit on bills and one-time large expenditures, putting the money into local economies. Expanding the state’s property tax fairness credit also makes sense and an increase in the benefit for seniors targets LePage’s concerns about elderly Mainers being driven from their homes by high property taxes. Maine’s property tax burden — property taxes as a percentage of personal income — is much higher than the state’s income tax burden. The Republican tax plan did away with personal exemptions. Compensating for this on the state level with tax credits for filers and their dependents that phase out at high incomes is a solid fix. On the corporate side, lawmakers should ensure that tax changes incentive investments in Maine. If they are guided by the principle of making changes that directly benefit the largest number of state taxpayers, especially working-class Mainers, lawmakers can negotiate a fair, and successful, plan.